Be on guard from those who can strike at you from far away, whether that strike is physical or something else entirely. The moral of the story? Hypocritical speeches are easily seen through. This fable is actually where we get the often used term “sour grapes” from. 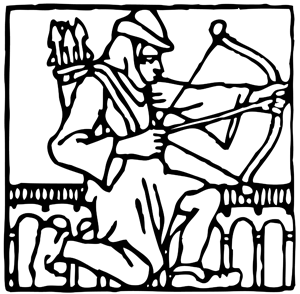 The fable is a popular example of Cognitive Dissonance, once of the most studied theories in social psychology. I am no psychologist nor have I studied social psychology so my insight into this concept is limited but basically, what I believe it means, is the rationalization of something in order to deal with two conflicting ideas. In this case the fox’s conflicting ideas are that he wants the grapes AND doesn’t want the grapes since they are probably sour anyway. How often do you see this kind of activity in your life. I know I have done it myself and I know that I see my kids react this way if they aren’t able to complete a task they were originally excited to tackle. It seems almost like a natural defense mechanism, a way to convince yourself that it’s okay to not have accomplished what you set out to accomplish because it was never really worth while anyway. 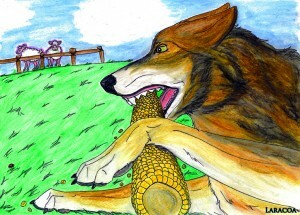 Aesop’s Fables, a New Regular Feature on Kids Ain’t Cheap! I love the simplicity of Aesop’s Fables. They tell a tale most of us can relate to in just a few sentences and typically feature the animal kingdom as the primary characters. They are morality tales that were used to help teach children right from wrong. They are very old which makes them even more special. It’s amazing that no matter how advanced we become as a society, something from ancient Greece is alive and well and still being used to teach our children right from wrong. For me, the story behind these fables gets more and more impressive and increases my enjoyment of them. Aesop was actually believed to be a slave when he wrote his fables, he lived in ancient Greece between 620 and 560 BCE. Aesop’s fables were a spoken tradition, handed down throughout the generations until years later when scholars collected the stories and put them down on paper. There are some doubts as to whether Aesop was the originator of these fables and there are similarities and connections with both India and Ethiopia. 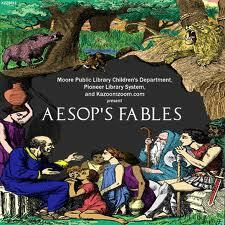 I am no expert on the subject, what I know about Aesop doesn’t extend any further than what I have just written but I am a big fan of his fables and do use them to try to teach morality to my children. Every so often I am going to share one of these fables with you on this site and tell you what it means to me. I would love to hear what the individual stories mean to you. Do you like Aesop’s fables? Do you use them as a teach tool?